One of the most beautiful songs of the 20th c., inspired by the tragic death of the Argentine poet Alfonsina Storni, who threw herself into the sea at Mar de Plata. “Alfonsina and the Sea”, Ariel Ramírez (music), Félix Luna (lyrics). 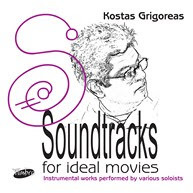 Aliki Kayaloglou (song) & Kostas Grigoreas (clas. guitar). 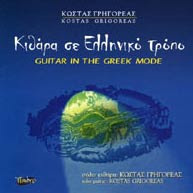 Guitar transcription by K. Grigoreas. 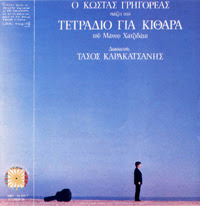 Arranged by Nikos Kypourgos. 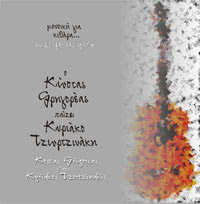 Lyrics’ translation in Greek by Agathi Dimitrouka. Album “Songs from Spain and Latin America”. 2015 digital remastering by K. Grigoreas. This entry was posted in Uncategorized and tagged Alfonsina Storni, Alfonsina y el mar, Argentina, Ariel Ramirez, classical guitar, Felix Luna, Greek, guitar, Guitarra, world music on February 2, 2016 by Kostas Grigoreas.